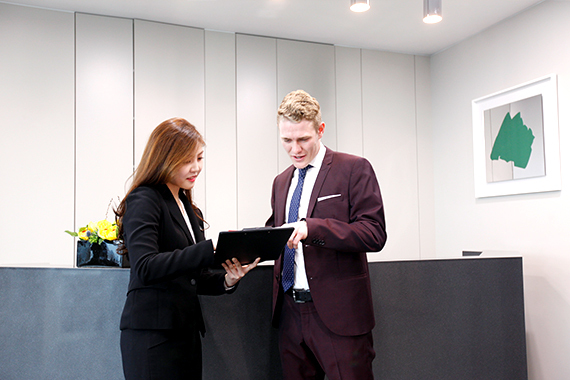 If you need an address for your business registration or simply a contact point in Seoul, you may want to consider our Virtual Office option. a premium, individual business address for anything from business cards to legal documents, thereby allowing clients to avoid the expenses of an actual office. Rental fees at HJ Business Center are a fraction of what you would pay elsewhere for a premium address with similar services. Why are more and more companies choosing the Virtual Office option at HJBC? The prime locations of our branches (Teheran-Ro and Sejong Dae-Ro) add to the convenience and name value of your company. A private, representative phone number starting with 02 will be provided for your company. At your convenience, our professional secretaries will receive and deliver and calls and messages under your company’s name. All mails are received or dispatched by our professional secretaries on your behalf. Our professional secretaries will help you arrange and host important meetings or seminars in our conference rooms.